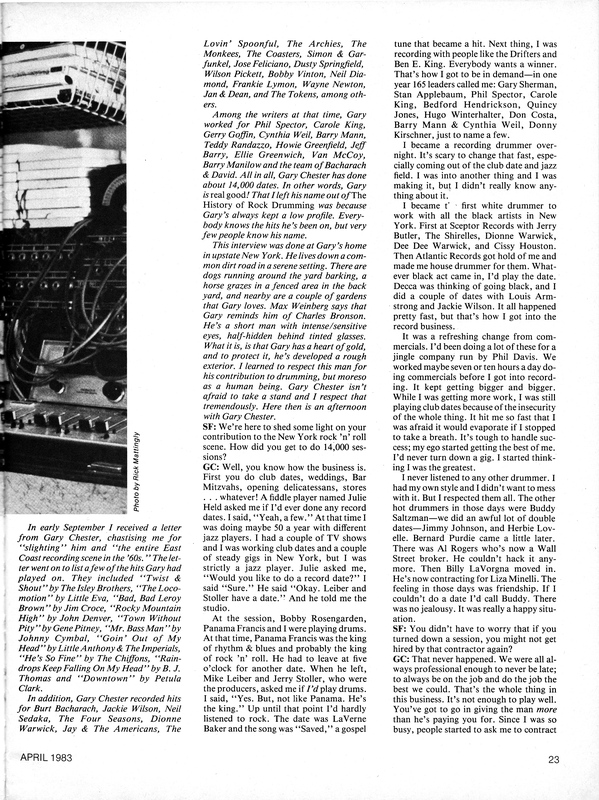 SKF NOTE: Looking at this interview last night for the first time in probably 30 years, I am surprised to see Gary Chester’s feature interview fourth in line in the April 1983 Modern Drummer, behind Jack DeJohnette, Artimus Pyle, and The Pros: On Bass Drums. Today, because of his subsequent popularity as a drum teacher, Gary Chester certainly would have been the second feature. He might even have given Jack DeJohnette a run for the Modern Drummer cover. In my August 19, 2014 Life Beyond the Cymbals post, Meeting Gary Chester, I explain how I met Gary and how this interview came to pass. He was a character for sure. But he left behind a great legacy of recordings, drum teaching methods, and an untold number of students. I’ve spoken with a few of Gary’s students. They all loved studying with him. MD Features Editor Rick Mattingly took most of the photos here at Gary’s home. Rick edited, and Modern Drummer published, Gary’s New Breed method book. I’m guessing these photos were taken during one of their sessions working on Gary’s book. One more point: A good place to learn more about Gary Chester is the In Memory of Legendary Drummer Gary Chester Facebook page. 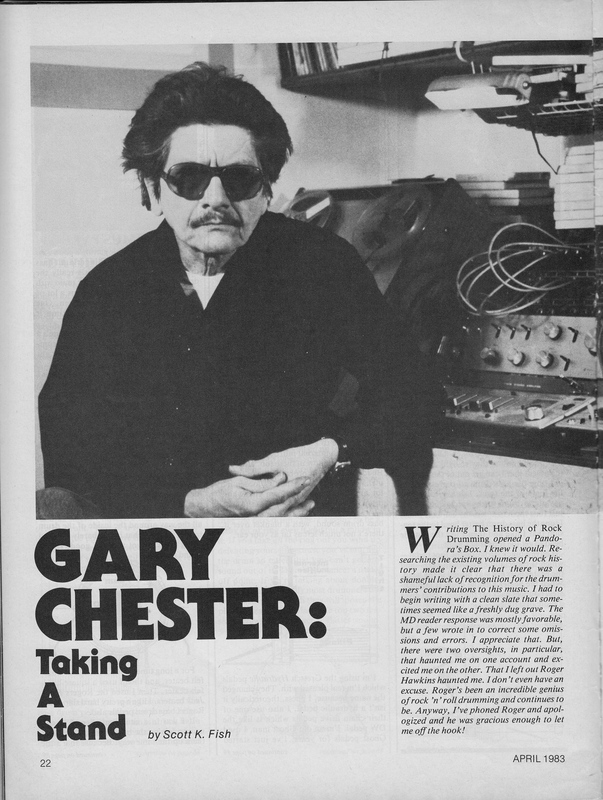 Here then, is the April 1983 Modern Drummer Gary Chester interview. This entry was posted in SKF Blog and tagged Drummer, Gary Chester, Modern Drummer, Rick Mattingly, Scott K Fish. Bookmark the permalink.